After a super relaxing week near Antalya on the beach we now made our way to Istanbul. Our flight left at noon and as we were at the airport within 20 minutes it was stressfree. We flew again with Turkish Airlines (which is an excellent airline but more about that once we had our last flight next week) and landed in Sabiha Gökçen, on the Asian side and far from the center. 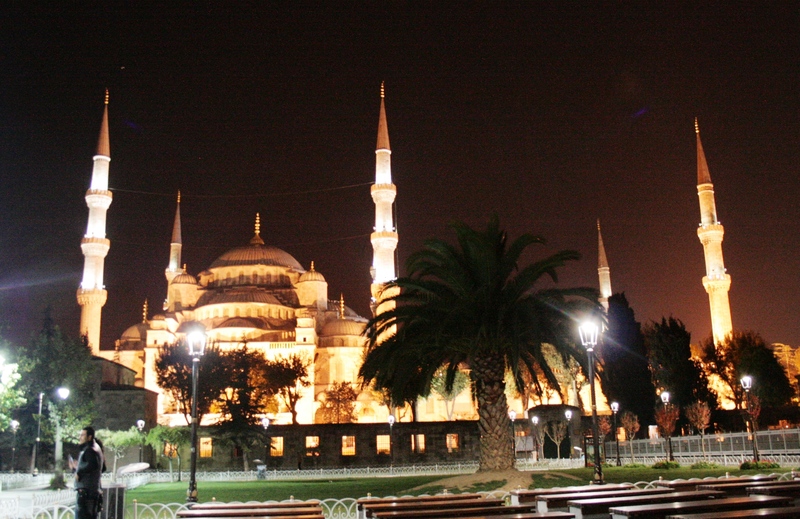 If you are short on time, it is probably better to look for a flight to Atatürk airport on the European side of Istanbul. When we booked those flights they were already quite pricey so we took the cheaper one. 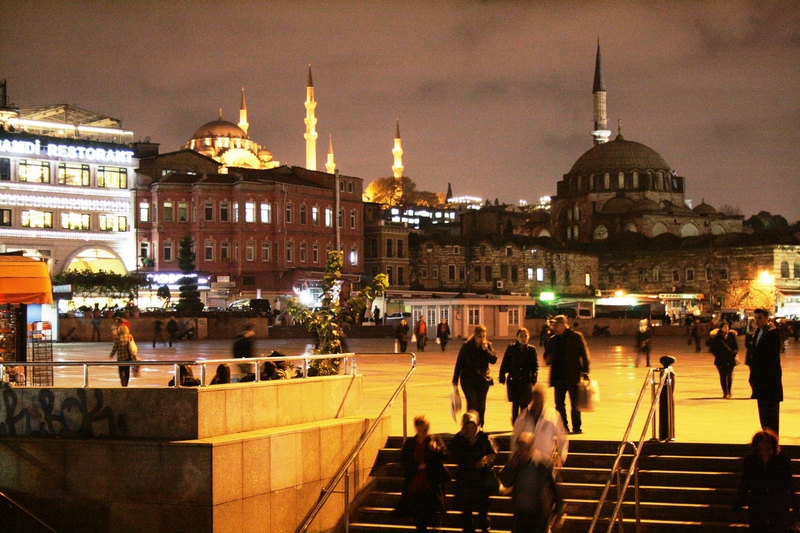 The Lonely Planet guidebook I bought said best to take a taxi to Sultanahmet, the area near the Aya Sofia and the Blue Mosque were we are staying but I checked out public transport. There is a special airport bus. 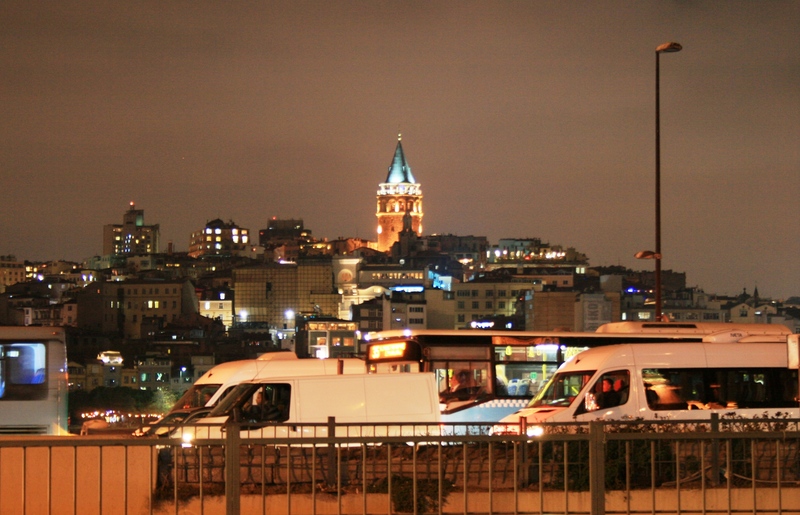 It took us for 13 TL in about one hour close to Taksim Square. From there we took the funicular down to Kabataş and from there the tram (this cost us 3 TL for each). All together we traveled over 2 hours. We could have been a little quicker had we known from the start that you need to go down to the metro to catch the funicular. Our hotel, alled EmmaSaray, is perfectly located and ok value for money. It was really cheap at 41€ per room/night and is accordingly. I think in summer it is a good cheap choice but now that it is getting colder and the windows don’t close to well, it was chilly in the room. At the reception it states 80€ per night which would super overpriced for what it is (shabby and on a quite loud street). Once we dropped of our baggage we directly started again and went for a evening walk as it was already dusk. We walked in direction of the Great Bazaar and around the bazaars it was even more interesting, passing through streets with only shoemakers or only selling homeware. 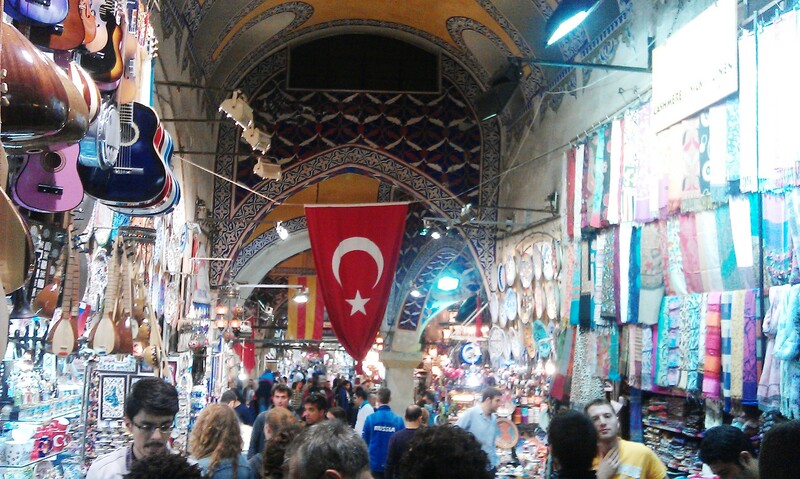 We visited both the Great and the Spice Bazaar shortly before they closed. It was very crowded, mostly with tourists, and even though I liked the building and all they sell is really overwhelming but I realise more and more I don’t like crowds that much. Especially if I feel all the time like having to guard my bag from pickpockets. I guess I’m overreacting a little bit here… It was good to see but I guess we will only come back if we have time. I don’t want to buy anything anyway. Next we went past the New Mosque at the big Borporus bridge. I was just going to say, let’s have a look inside when the call for prayer came. So we thought let’s rather not intrude and went for food instead as it was already 7pm by then. 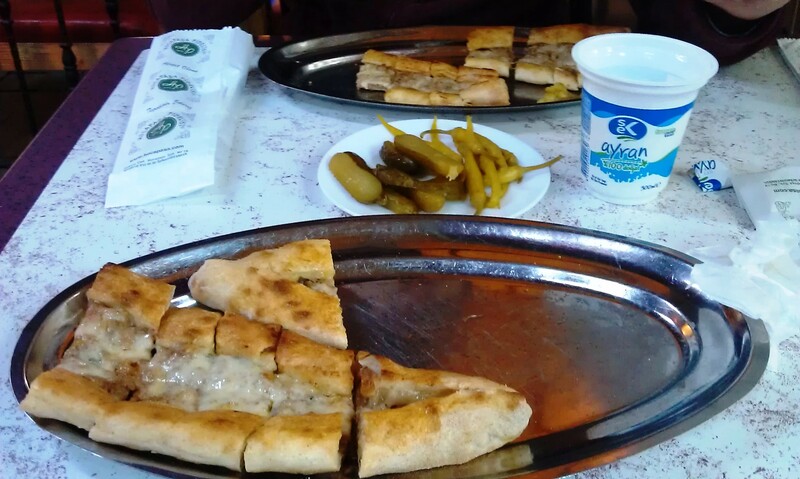 We moved up towards Topkapı Palace and had Pide in Hocapaşa Sk, a small pedestrian street with lots of inexpensive eateries (yet with a bit very keen “door men” trying to lure people into there places bit I guess you get them everywhere a tourist has ever passed by). Then we walked back. I had suggested to walk along the palace walls taking us around the Aya Sofia which was a really good idea. 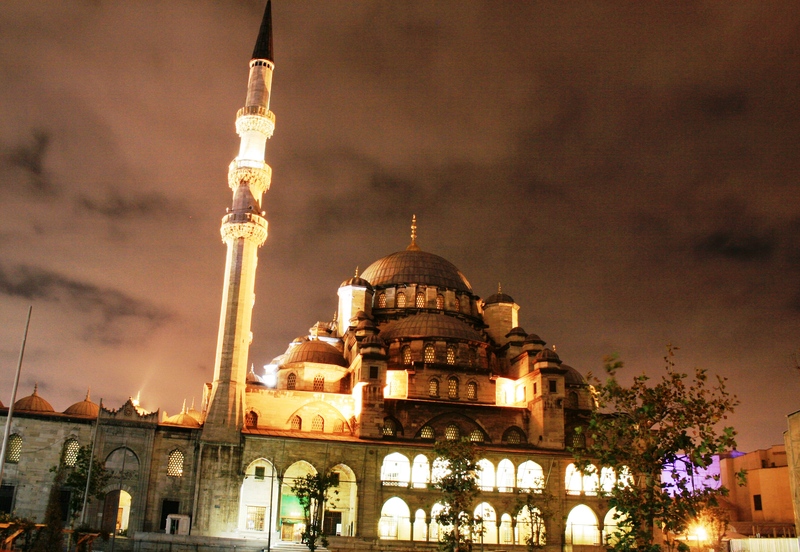 We then walked towards the Blue mosque. The views were stunning and there were not that many tourists. Michael once again took ages to get on. But then again he always takes super nice pictures. Then we settled in for an early night to be fit for some proper sightseeing the next days. 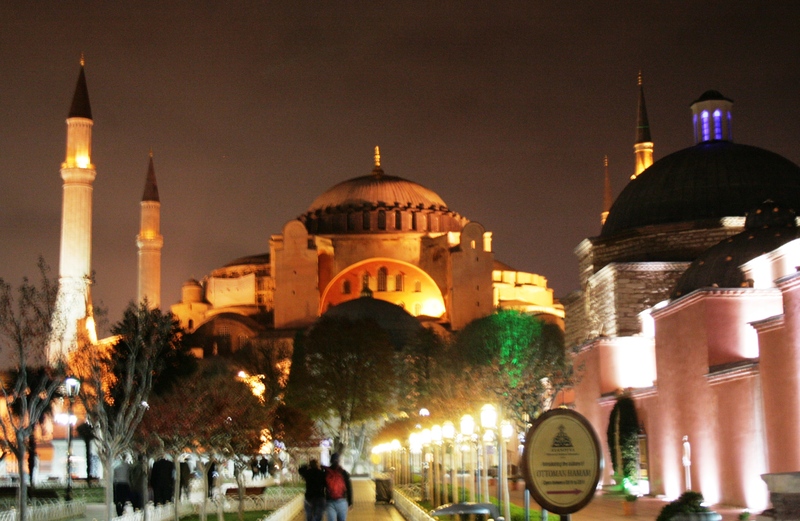 This entry was posted in Turkey and tagged Blue Mosque, Hagia Sofia, Istanbul, Short Trip by kathatravelling. Bookmark the permalink.